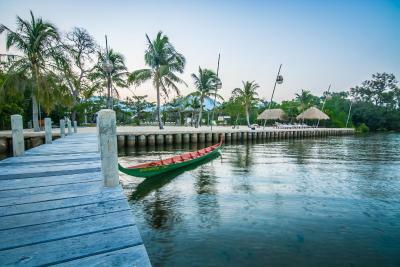 Lock in a great price for Samanea Beach Resort & Spa – rated 8.6 by recent guests! Firstly, Jonathan at the front desk was amazingly helpful. The staff were so lovely and always said hello. 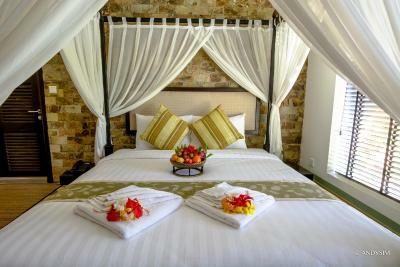 The rooms were magnificent, bed was comfy, bathroom was a tropical paradise and it was very clean. The pool and beach area were great. The breakfast was fantastic. We couldn’t fault the place at all, we will surely be back! The environment and design of the resort is perfect. Love it so much! 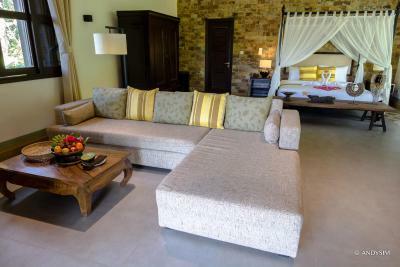 - The villas was nicely separate from one another for privacy. Staff very accommodating. Rooms spacious and comfortable. 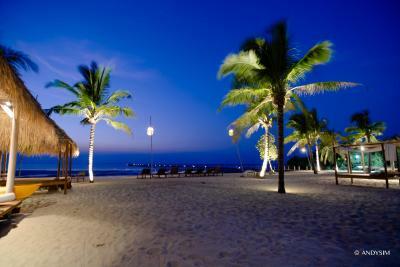 Very relaxing resort. 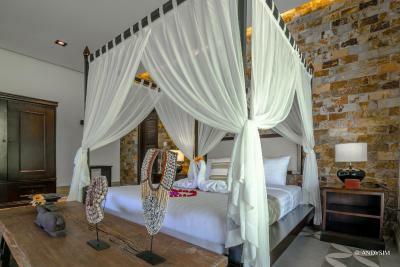 The villa was very comfortable, the room was clean and a great size, lots of space and an amazing outdoor bathroom. Views into a lush green garden, felt secluded. Loved it! The setting is exquisite. 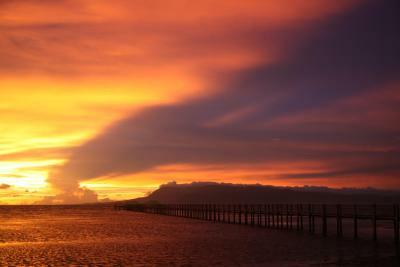 The views and sunset are breathtaking. In terms of staff - very organised, brilliant welcome and the team are generally very friendly. Incredibly welcoming to young families. When we asked to move rooms they were happy to rearrange things to accommodate. 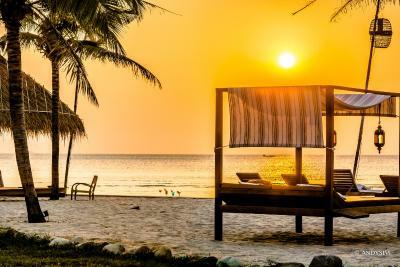 Samanea Beach Resort & Spa This rating is a reflection of how the property compares to the industry standard when it comes to price, facilities and services available. It's based on a self-evaluation by the property. Use this rating to help choose your stay! 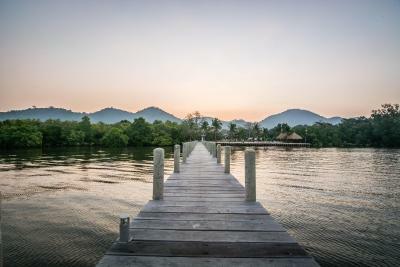 One of our top picks in Kep.Enjoying beautiful sea views, Samanea Beach Resort & Spa provides charming accommodations in Kep. 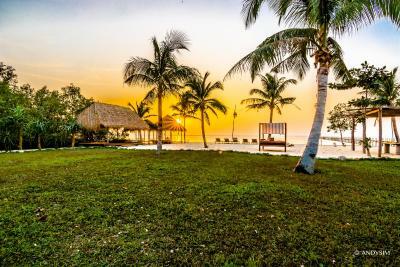 It offers an outdoor pool, a private beach area and free internet access. 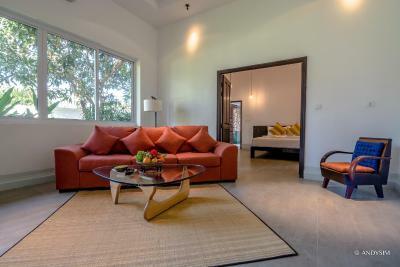 The villas are spacious and elegantly furnished featuring classic Khmer décor. Each is fitted with a private terrace, air conditioning and a separate dining area. They all have comfortable sofas and tea/coffee making facilities. 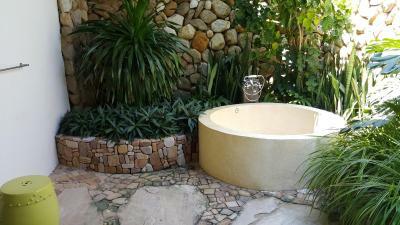 Stylish bathrooms feature an outdoor bathtub and premium toiletries. Staff at the tour desk can arrange for various activities including a cooking class with a professional chef, sightseeing trips with a local guide including visits to Bokor National Park. The property houses a business center and a souvenir shop. 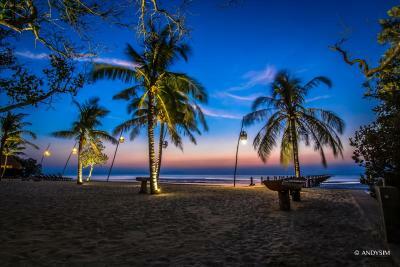 Both local Khmer-style and Western cuisines will be served at the restaurant. 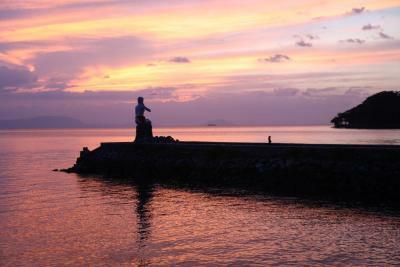 Private dinners can be arranged by the beach accompanied by sea views or enjoyed in the villas. 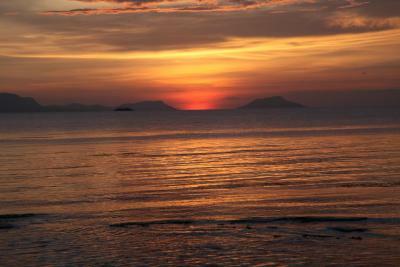 Samanea Beach Resort & Spa is placed 45 mi from Sihanoukville International Airport. For guests’ convenience, airport transfers can be arranged at a surcharge. 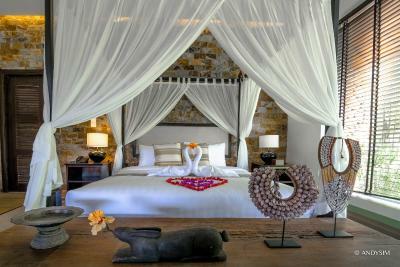 When would you like to stay at Samanea Beach Resort & Spa? This Khmer-style villa features a private terrace that opens up to views. The separate living area is fitted with a sofa, an antique desk, a 32-inch flat-screen TV and a DVD player. 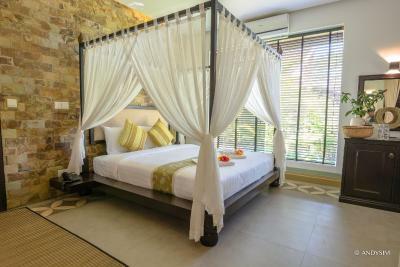 The bathroom offers an outdoor bathtub and a rain shower and a traditional Khmer shower facility surrounded by a garden. 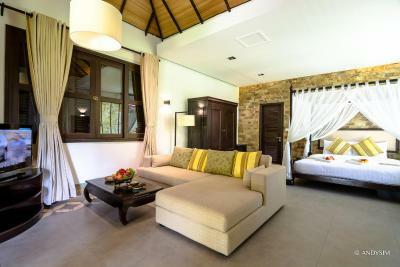 This villa can accommodate up to 2 extra beds. Additional charges apply. 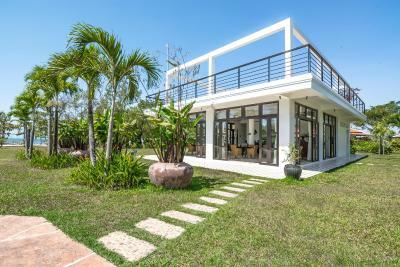 This larger Khmer-style villa features a private terrace that opens up to views. The separate living area is fitted with a sofa, an antique desk, a 32-inch flat-screen TV and a DVD player. 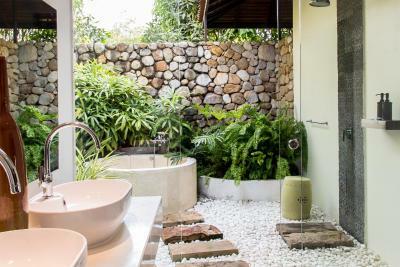 The bathroom offers an outdoor bathtub and a rain shower and a traditional Khmer shower facility surrounded by a garden. 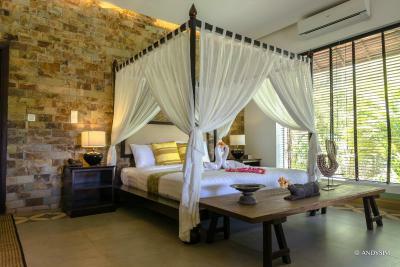 This spacious Khmer-style villa features a private terrace that opens up to views. 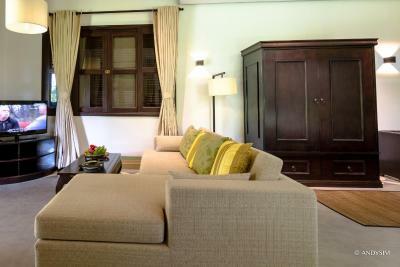 The separate living area is fitted with a sofa, an antique desk, two 32-inch flat-screen TVs and a DVD player. 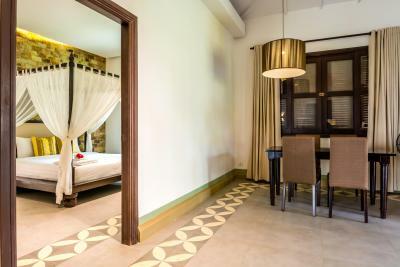 The two private bathrooms offer an outdoor bathtub and a rain shower and a traditional Khmer shower facility surrounded by a garden. Featuring a private terrace, this very spacious villa is fitted with a living area, tea/coffee making facilities, an iPod docking station, a Nespresso machine and a dining area. 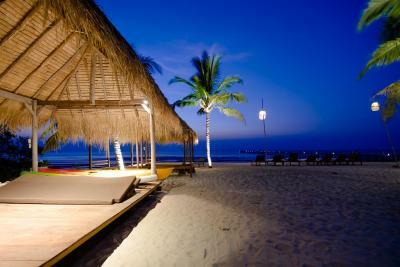 It offers 2 private bathrooms with shower facilities and bathrobe. 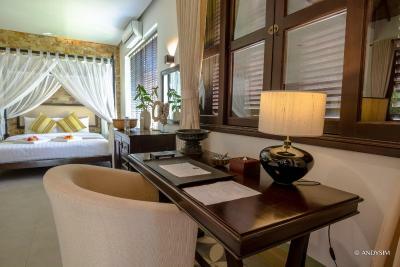 This room accommodates up to 4 guests. 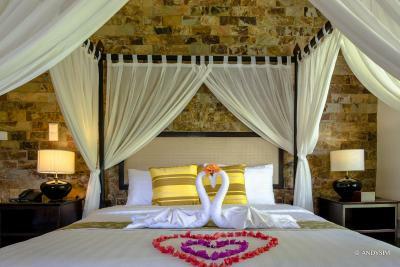 House Rules Samanea Beach Resort & Spa takes special requests – add in the next step! One child under 6 years is charged USD 6 per night when using existing beds. Samanea Beach Resort &amp; Spa accepts these cards and reserves the right to temporarily hold an amount prior to arrival. Samanea Beach Resort & Spa accepts these cards and reserves the right to temporarily hold an amount prior to arrival. Please note that late check-out until 14:00 is subject to availability. The swimming pool water was too warm. The staff were very attentive and friendly. The way how their staffs communicate with client are not respectful at all. Obviously, not happy with the way they communicate with us! 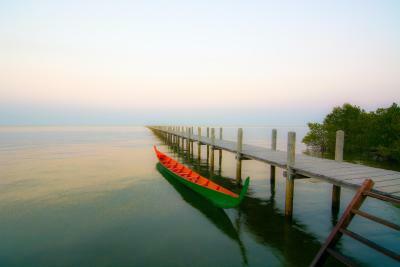 The peaceful environment and wonderful view. The duplex villas are not very sound proof so you can hear very well what’s going on at the other side. Also, the interior is rather dark because of being in the shade so you need to keep the lights on most of the time. If you want to splurge, you’ve come to the right place here. Very spacious property with villa’s scattered around the area. Everything is very private. So much so that I could not really tell how many villa’s there are. I think it’s only about 8 or so. The villa I had was a duplex, my side having a double bed and the other two twins. Interior is very nice with comfy couch, ample closet space and of course the bathroom which has the shower and bathtub (which is huge, by the way) in the open air. Service is very good without being in your face. If you want to be left alone, no one will bother you. They provided free laundry service is well a free tuk tuk ride to the bus station when I left. The pool is huge with more than enough sun chairs around it. I never saw more than 4 people at the pool anyway. 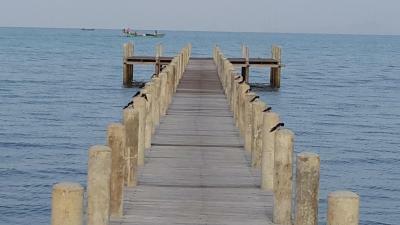 The artificial beach is also very nicely done but swimming in the sea is not practical. 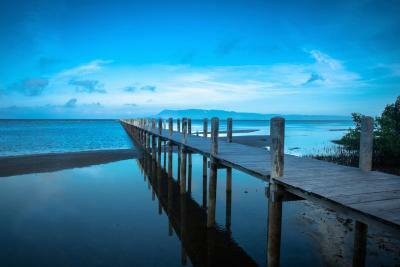 The water is very shallow first of all even at the end of the very long pier. And because of that, it’s also rather warm which makes for a not very refreshing swim. The pool more than compensates that though. 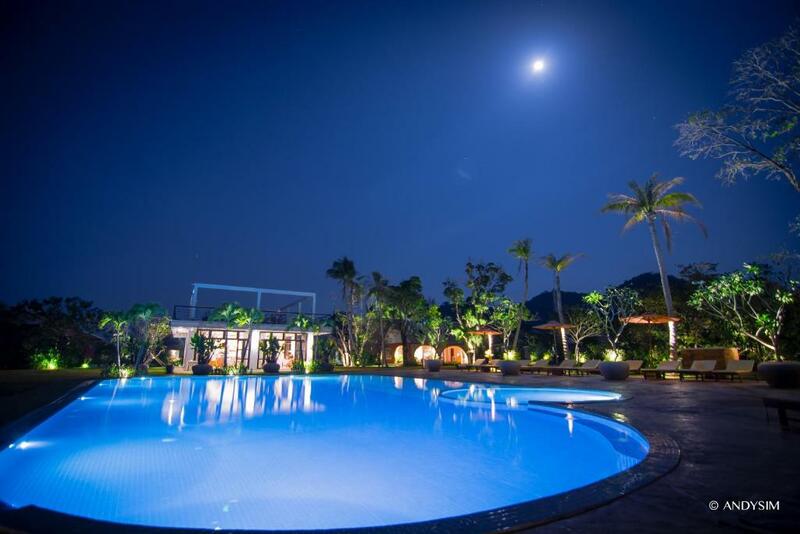 From the start, the staffs was rude in term of customer services because I am expected more from the rate of the hotel and the price. Second: all the towel are old and torn which is so uncomfortable to used Third: breakfast was worst, small selection and you can order only one dish which mean if you are not full, nothing they can help. Moreover, the staffs seem discriminated with Asian cuz when 4 of us reaching the eating area none of the staff come and greeting us but when a westerner couple coming down, they just smiling and taking care them and showing their gratitude. However, this is going to be my last stay with them and I won’t recommend any friend to stay there unless they are westerner. They haven't got the basics right. The resort rooms prices, drinks & services are that of a 5* however their service isn't consistent of 4 or 5*. Sometimes staff attentive, sometimes there are pool towels, other times not. There is nowhere at the room to dry swimming costumes or clothes... the little things make a difference. There are also no snacks or simple food options yet (they are building a new snack bar), so every meal is at the restaurant which only offers very rich food. A lunch menu was available the first day and then never again. I also got an upset stomach, it can happen, but the restaurant then only having rich food options was less than ideal. We had to eat out the next couple of days as no alternatives were offered. Veggie options are also pretty limited. There is no light on the walk way to the villa. It’s a bit scary and dangerous.